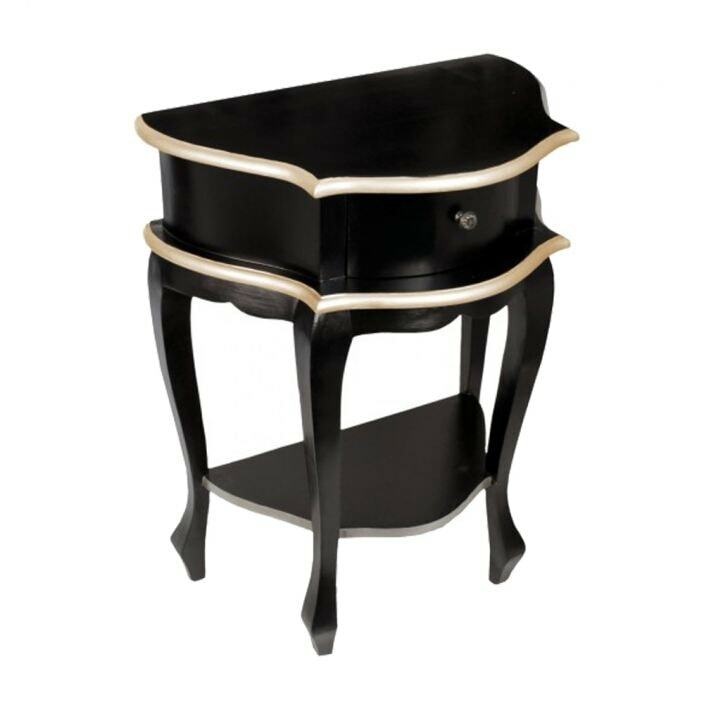 We proudly welcome from our collection of antique French furniture, this exquisite French bedside. I'ts elegant silver trim and 1 drawer provides ample storage space and gives a very appealing look, adding great aesthetics and style in your wonderful home. Handcrafted from the finest of natural materials this marvelous bedside table is sure to impress.